Create artistic face stencils that can be used to reproduce images of faces in spray paint. Drawing face stencils requires the ability to see the outline of the human head and face as well as the shadows that exist on them. The outline must be a solid line, and the shadows must be high-contrast so that they too can be depicted with lines. A little practice is all that is needed to draw a decent face stencil. The hard work will pay off once you see the realism of that first spray-painted face image. Study the photograph and look for shadows on the face of the person. Decide on the basic high contrast shadow shapes. Lay tracing paper over the photo if you are in doubt. The tracing paper will make it easier to see the many values of shadow as larger solid shadows with no value since it filters out the details. Find the outline of the head in this same manner. Trace what you are able to see on the tracing paper. Lift the finished tracing from the photo. Use the tracing as reference and draw the same image freehand onto the card stock. If you are unable to create a perfect rendering by using your eyes alone, you may flip the tracing over and place it on a light box. Trace the lines you made of the face onto the back of the tracing paper. Lay the tracing paper on the card stock. Turn your pencil on its side and rub graphite over the entire image. This will leave an exact transfer of the tracing on the card stock. 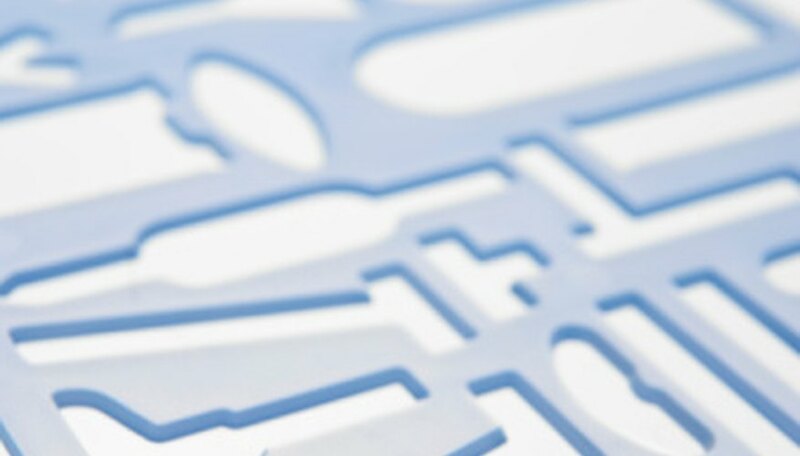 Cut the areas of high contrast shadow out of the card stock with scissors or an X-acto knife. Be sure to keep the open areas contained by the outline so that the stencil does not fall apart.